I rarely have any recollection of my dreams, but when I do, I usually record them in my blog. Last night’s dream can be solidly categorized in slapstick humor / sitcom. It had pretty good camera work, but I am not sure if it had the laugh-track. I did wake up laughing though. From what I gather, it was a Seinfeld spin-off or an unaired Seinfeld episode. The dream starts in Kramer’s apartment. Kramer is growing increasingly annoyed with his noisy upstairs neighbor. When the camera cuts to the upstairs apartment, it shows a young man simultaneously tap-dancing and dribbling a basketball. The noise finally stops just as Kramer goes upstairs to confront the noisemaker. A really nice spiraling camera work on the staircase follows. Then the camera cuts to Kramer inside the apartment seeing his antagonist sleeping on the floor, hugging the basketball. Zoom in to Cramer’s face and hands: he is grimacing and gesturing as if he is about to make a loud scream and spook the sleeper. But then Kramer’s face changes — he gets a better idea. He proceeds to the bathroom, takes a tremendous dump and leaves without flushing. 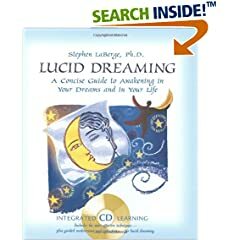 Lucid dreaming is the art of recognizing that you are dreaming, and shaping your own dreams. (so far I am failing miserably in this department). Apparently it’s something you might train yourself to do (there are even devices you might buy to aid yourself). Neverlate alarm clock has a separate alarm for 7 days of the week, and something no other alram clock that I know has – customizable znooze duration.